$16.99 Fifth Leg like this – for free. BAD TASTE AMNESTY's FREE WINE – TRUE! IN certainly one of the more quirky industry promotions – but one that's sure to get plenty of attention – Western Australia maker The Fifth Leg is offering to swap that dodgy red or white that's been gathering dust in the back of the kitchen cupboard for years, for a new-release $16.99 The Fifth Leg red, white or rosé… for absolutely free. Saying that life's too short to drink bad wine, from 1pm to 5pm on Saturday February 15th The Fifth Leg's inviting anyone with a bottle of "suspect inferior plonk" (for whatever reason) to take it along to a First Choice liquor outlet anywhere in Australia, and swap it for a free bottle of The Fifth Leg – with a choice from their Crisp Chardonnay, Semillon Sauvignon Blanc, Cabernet Sauvignon Shiraz Merlot, Rosé or Shiraz. For our part, red devotees shouldn't look past swapping that dusty sus bottle with The Fifth Leg's 2012 Cabernet Sauvignon Shiraz Merlot, a soft, fresh and supple wine, whose nice juicy red and black fruit flavours make it a great match with red meat dishes. ONE TO NOTE: KATNOOK Estate have released a Founder's Block Chardonnay from the excellent 2012 vintage in Coonawarra, one that had slightly warmer conditions than usual, below average rainfall, and was one of the region's earliest on record. Winemaker Wayne Stehbens has created in this a wine that's designed for enjoyment now, while also showing wonderful potential to reward buyers happy to tuck it away to mature nicely for anything up to six years. With white peach, pear and citrus flavours and a rich and creamy mouthfeel, Wayne says to consider matching it with pan fried chicken breasts stuffed with finely sliced mushrooms and chorizo, and served with accompanying asparagus. At $18, it's certainly a good suggestion. delivery truck that's still going strong 40 years on. ONE of the country's most successful family winemakers, Westend Estate at Griffith in the NSW Riverina has changed its name to Calabria Family Wines to reflect its second and third generation family involvement in the running of the company. Established by Francesco and Elisabetta Calabria after they migrated to Griffith in 1945 to grow fruit and vegetables – and with their first wines made in the family laundry – the company is now a multi-million-dollar enterprise with 60 employees, a 15,000 tonne state-of-the-art winery at Griffith, vineyard interests in the Riverina, Barossa Valley and NSW's Hilltops, a dozen wine brands, and with annual exports to 25 countries including the USA, UK, Russia, New Zealand and Asia. Announcing Westend Estate's name-change to Calabria Family Wines, Sales and Marketing Manager Andrew Calabria said: "Making wine is our life. 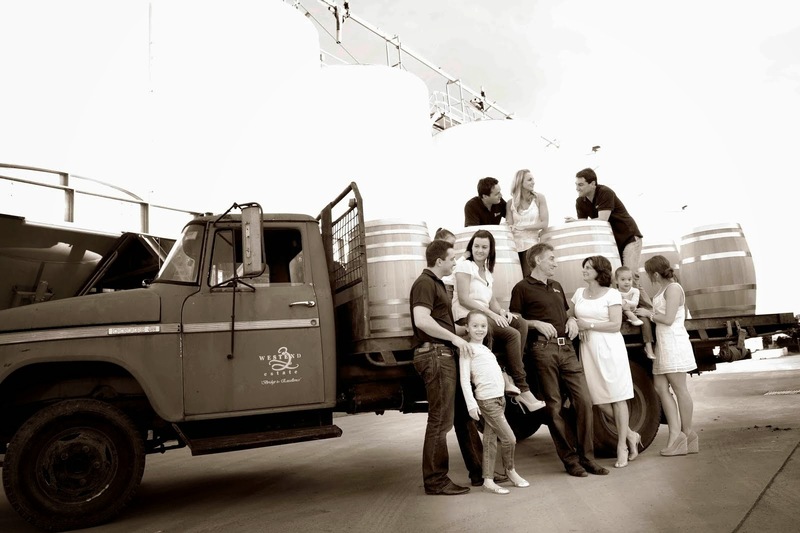 We embody family heritage and passion, and believe we need to differentiate ourselves from today's corporate world of winemaking, by highlighting we are the family behind the company. 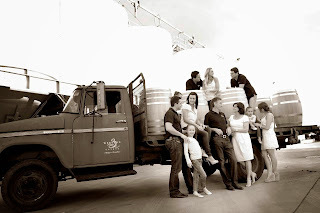 "The change also honours the extraordinary efforts of our father, Bill Calabria (one of Francesco and Elisabetta's five sons) as Managing Director and Chief Winemaker – he has been an inspiration to each and every one of the family throughout our lives, and equally so to our wonderfully dedicated work force. "We see the Calabria name on every bottle being a flag-bearer of personal involvement, dedication and quality." One of the first releases under Calabria Family Wines is a 2011 Calabria Bros Barossa Shiraz, a wine from 100 year old vines that thrive in the Barossa's Mediterranean-like climate, and that's rich and full-bodied with ripe plum flavours, spicy vanillin oak, and a long fine-grained tannin finish. Pay $26 and enjoy with flame-grilled fillet of beef and a good splash of red wine jus. Bin 5 Riesling – and ideally suited to seafoods. BACK in the 1980s a South Australia Clare Valley Riesling made by the legendary late Mick Knappstein under a Bin 5 label for the Stanley Wine Company, was selling a more-than credible 50,000 cases a year – just so good was it. 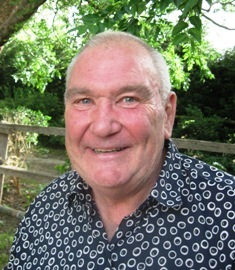 And today we're confident enough to say that a successor to Bin 5 made by Tim Adams who worked under Mick in the 1970s, could well be heading for the same success: Tim, who with wife Pam Goldsack subsequently bought many of the assets of the Stanley Wine Company, has even named it Mr Mick Riesling, with the 2013 his third vintage. "Mick saw Bin 5 as 'the people's white'," Tim says. "It was soft, generously flavoured, carried just a touch of sweetness and was almost dangerously approachable." Tim says he feels confident Mick Knappstein would have been pleased with the Mr Mick Riesling that now carries his name, the 2013 a mouth-filling drop with predominantly citrus flavours – lemon curd, lime and orange blossom – and ideally suited to seafoods. Or, at $15, simply a good drop to have in the fridge during our hotter summer months. match with spicy Thai hot-and-sour tom yum soup. ONE TO NOTE: TIM Adams also has another very approachable drop for summer-time enjoyment in his self-named Tim Adams label 2013 Pinot Gris – his tenth release of this variety, that just gets better and better with every vintage. Tim 'fesses-up that it's been "quite a steep learning curve" finding just the right balance of fruit, acid and sweetness – especially the latter – for his Pinot Gris, while at the same time confident he's not made a better drop than the just-released 2013. "A touch of sweetness on the front palate is essential to our Pinot Gris style, and we (he and wife Pam Goldsack) think we've got it nicely balanced in this wine that has predominantly pear flavours with touches of lychees and white peaches as well." Pay $23, and with that slight sweetness and quite full palate, you'll find it a nice match with spicy Thai dishes such as hot-and-sour tom yum soup.